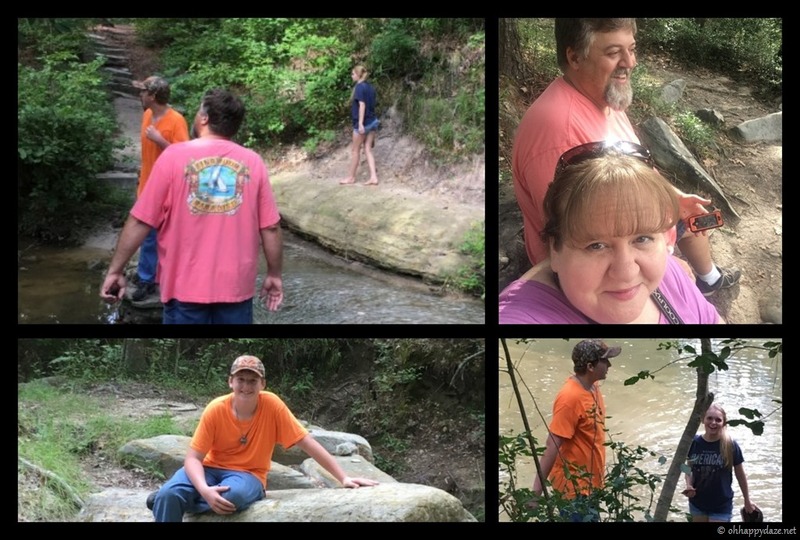 We decided to wander around Boykin Springs to get a bit to exercise, to get some fresh air, and just to enjoy nature a tad. 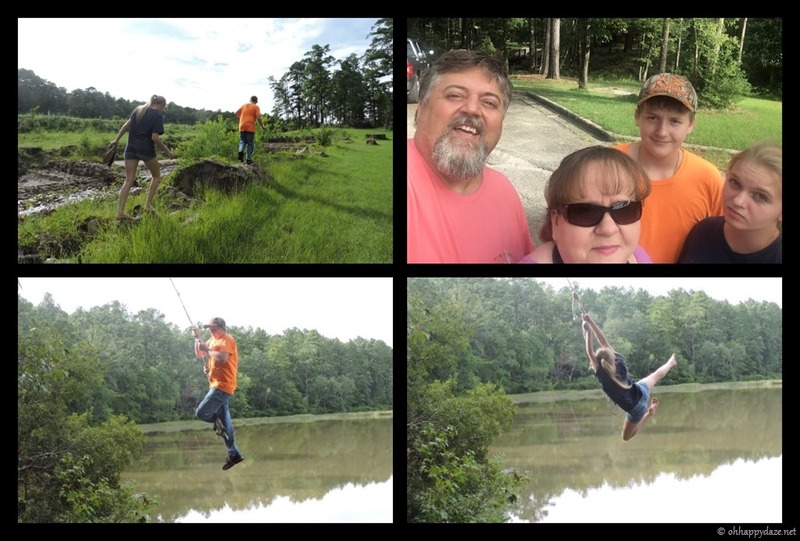 The kids had a blast on the rope swing as always! Being on the liquid pre-op diet left me with very little energy! 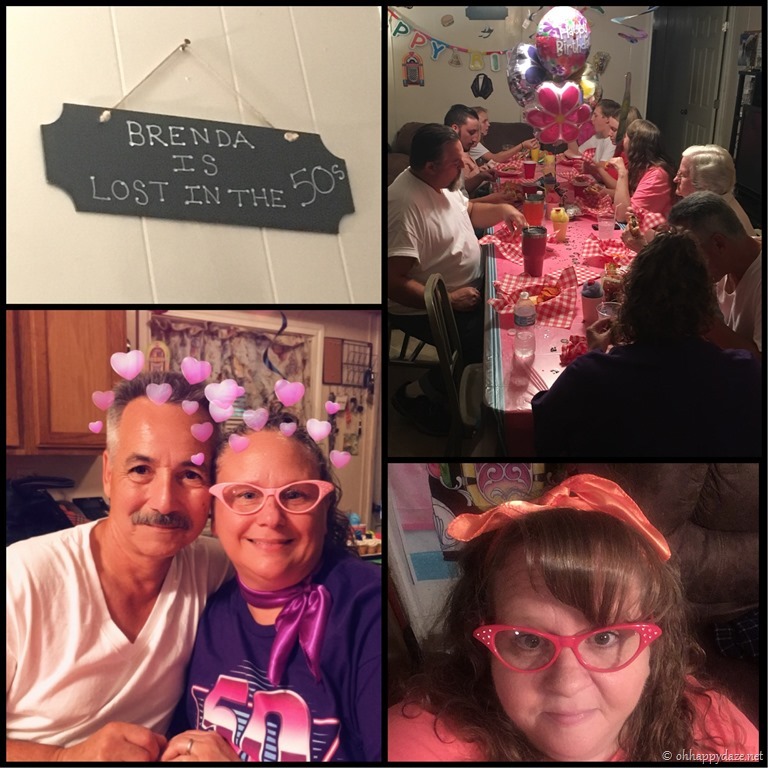 My middle sister turns 50 on the 19th of this month so we planned her a semi-surprise “Lost in the Fifties” birthday party a week ahead of time so I could get it all done before surgery! We all dressed up in the 1950s costumes. I bough wing glasses, neck scarves and made poodle skirts out of round tablecloths and drew a poodle on each dress with a sharpie marker! The guys all wore jeans rolled up and white T-shirts with sleeves cuffed! We were styling! 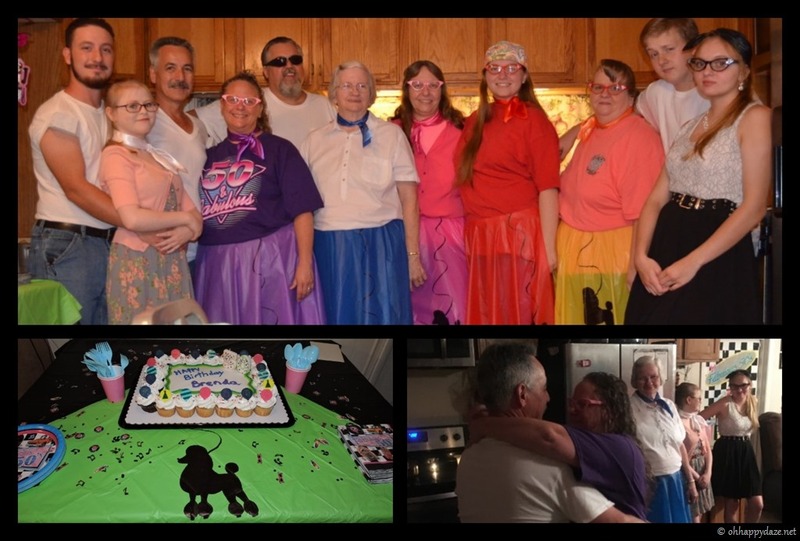 We served grilled burgers in “dinner baskets” and decorated with “Sock Hop” type decor! We played iHeart radio 50s station and we danced and ate and played games and had a really good time! 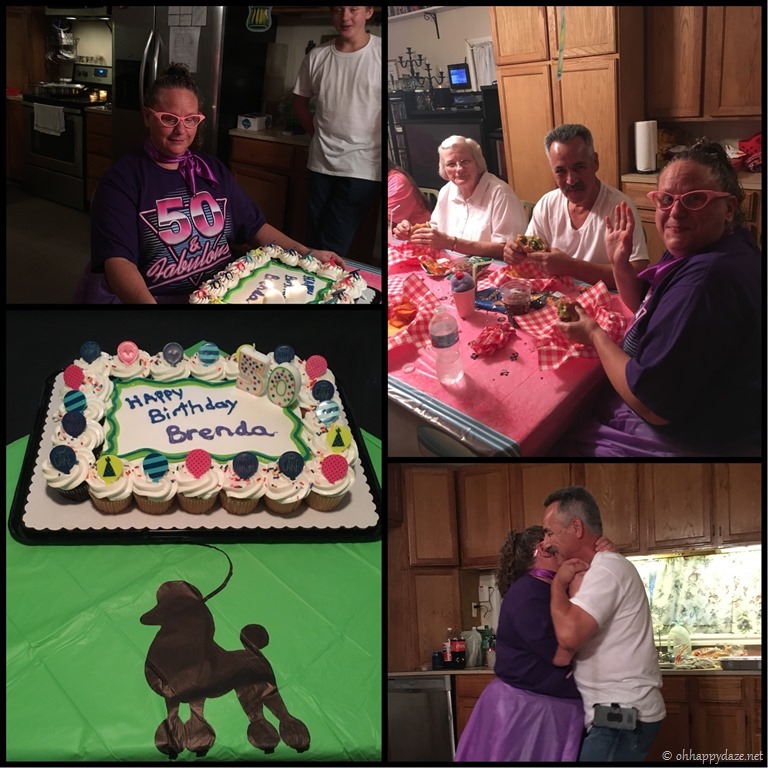 She was thrilled with her party and I am so glad she was! 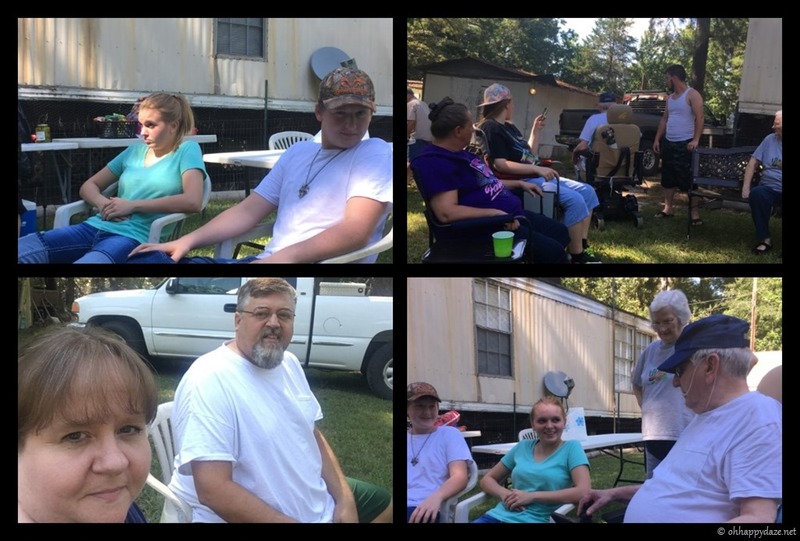 On my sister’s actual birthday they decided to grill at our parent’s house! We came but of course, couldn’t eat anything other than a little pudding I brought from home. But family is what the gatherings are all about not the food! 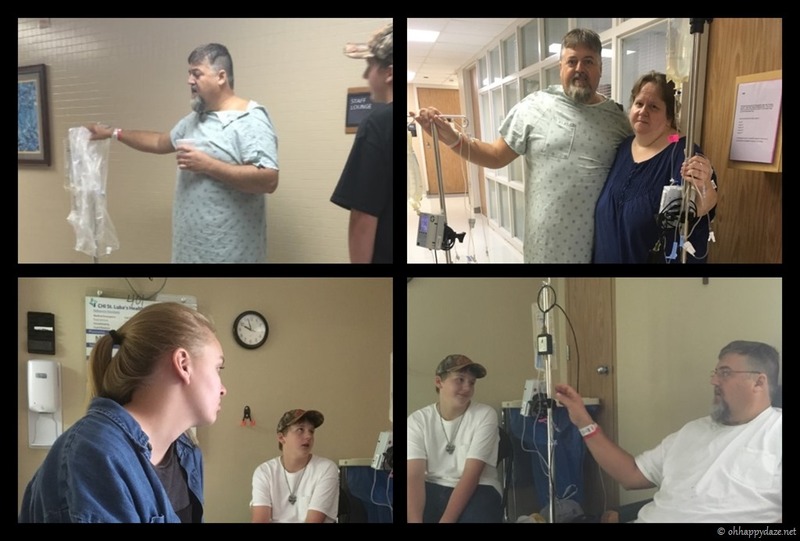 Glad to see my dad feeling better and out and about more these days! He tootled around on the electric scooter we got him a few years back and had to go check out all his grandkids (and kids) new (to them) trucks! He loves harassing his grands! 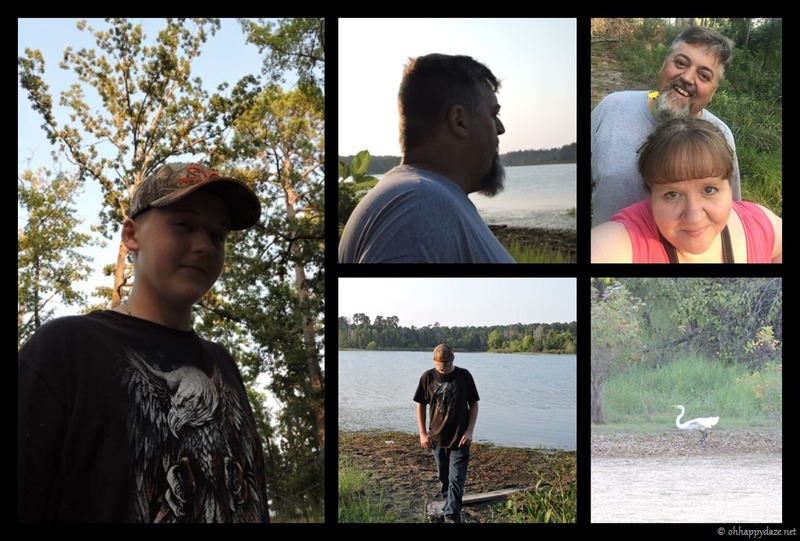 Feeling a bit better and able to get around more after surgery we decided to go down to the lake and walk one of the camping loops for exercise and fresh air. I am still really weak but it is good to get out and move! 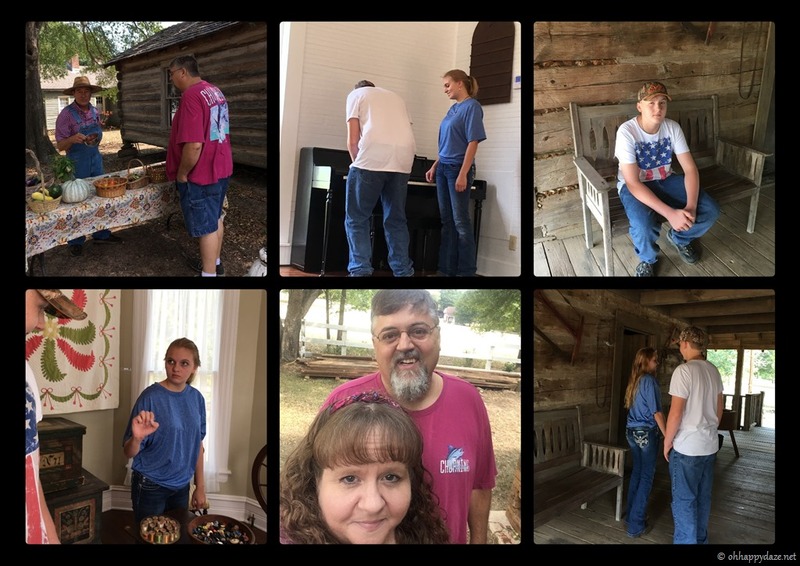 We took the kids on a little field trip to Milliard’s Crossing “Pioneer Days.” We explored the old buildings and watched the reenactors weave, make paper, sell goods from their garden, and do blacksmith work. 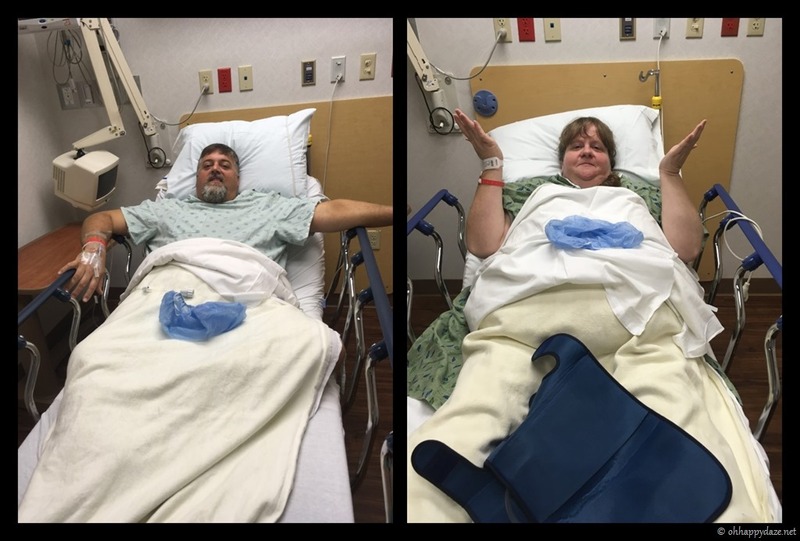 It was a good short little outing, I still am battling fatigue from surgery, hubby seems to be healing and adjusting just fine. 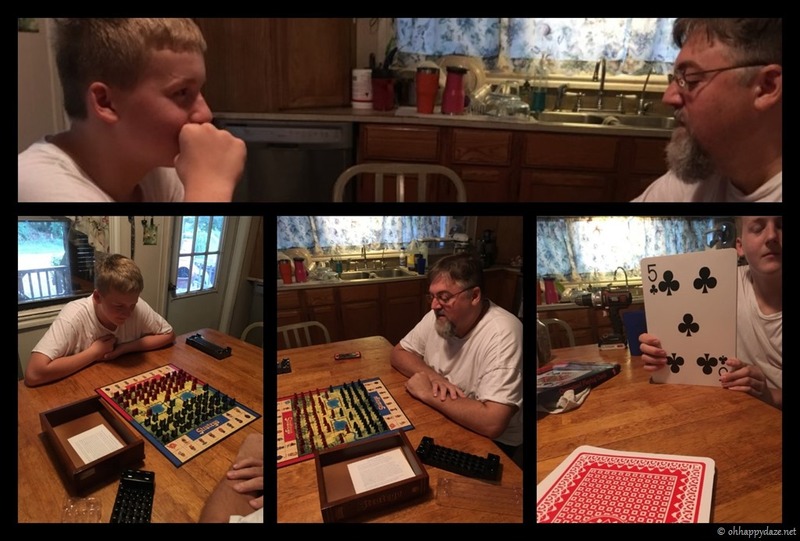 A dreary morning kept my guys inside so they played board games and a little game of cards! They both enjoyed themselves and did some daddy-son bonding while Anna was at work! That afternoon Adam and Anna’s pup Biscuit played ball. 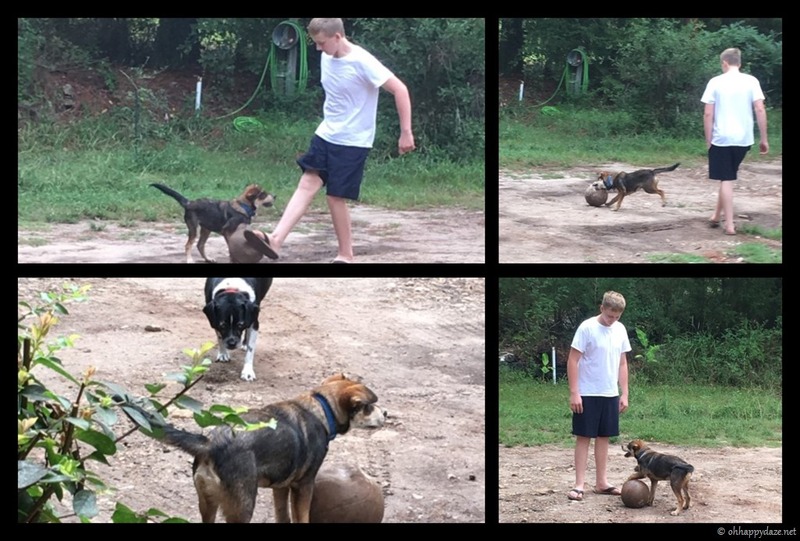 Adam would kick it and the pup would chase and then hold it with one paw while he waited for Adam to kick t again! 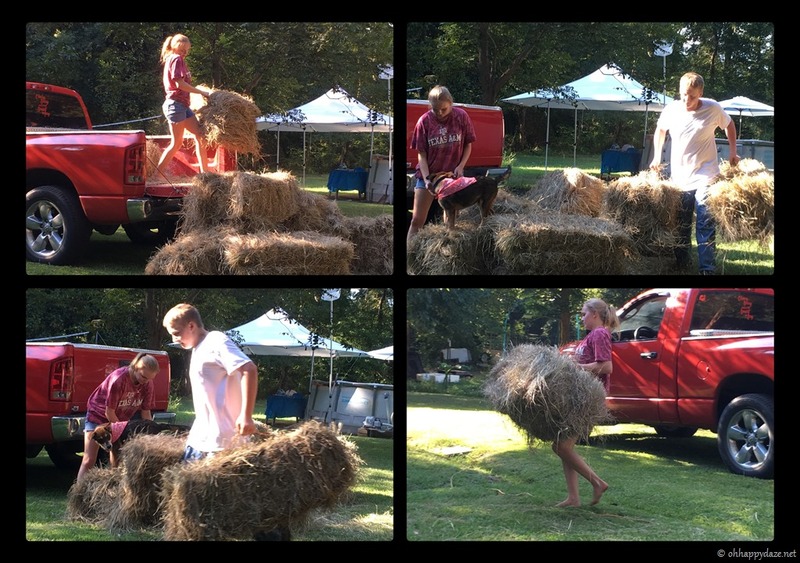 And as summer ends fall work begins and hay stocks for fall and winter have to be stored! My kids are all very hard working farm kids and I am so proud of each and every one of them! 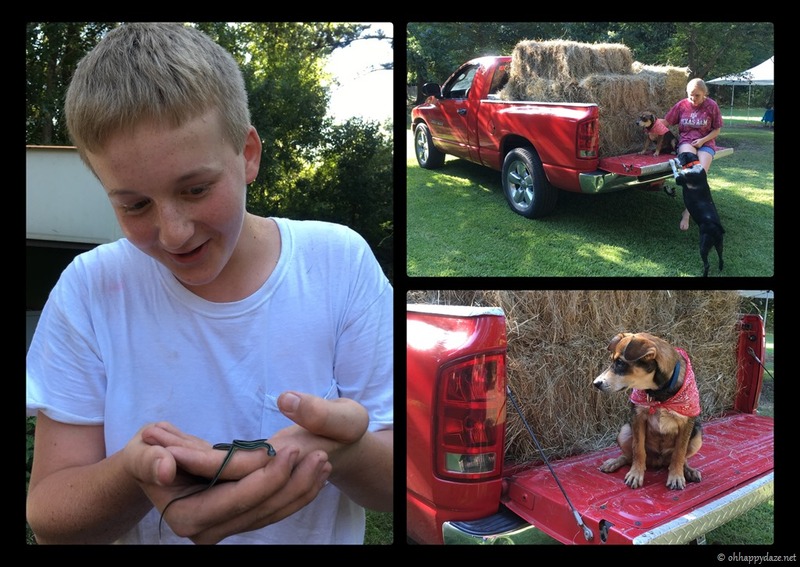 While unloading hay Adam found a baby ribbon snake while Anna was playing with her pup on her tailgate, no matter what work has to be done, always take time to enjoy moments. 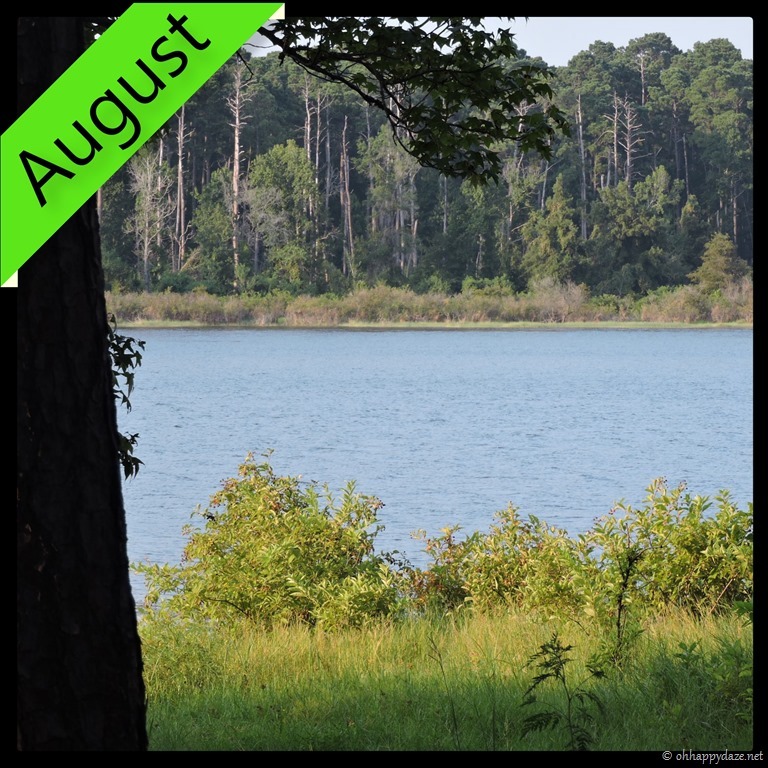 August was a trying month with the surgery and healing and adapting to all the changes but as the year begins to fade I have hope for a more peaceful fall and winter season that is quickly approaching. I hope for more time outside and in nature and for more energy to enjoy now that we are losing weight. I am sure it will come with all of its own set of challenges and trials but as always I will make it through each of those just as I have each one before it. Today, I am feeling more optimistic. 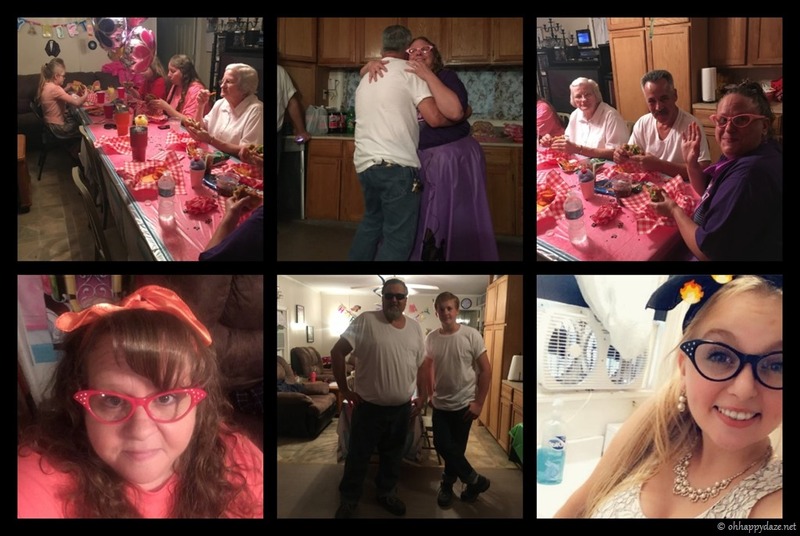 Posted on September 3, 2018, in Family, My Journal and tagged 2018, August. Bookmark the permalink. Leave a comment.